Tahini recipes will usually call for hulled sesame seeds to make this Middle Eastern tahini paste or tahini butter. 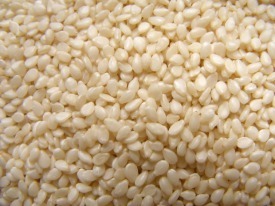 Unhulled sesame seeds are thought to have double the nutrition of hulled, but will come with too many anti-nutrients and a bitter taste. 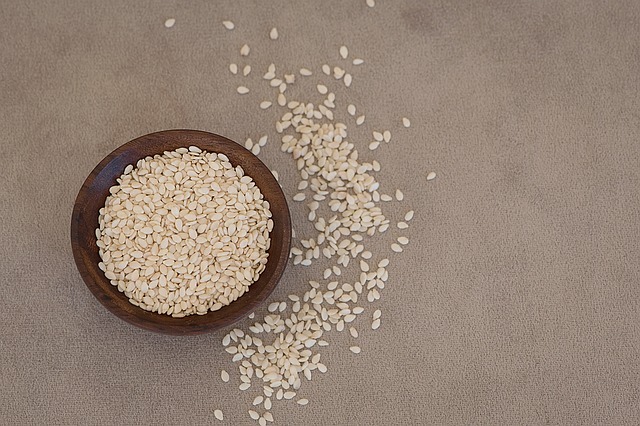 Unhulled sesame seeds contain a high amount of oxalic acid and phytic acid which are anti-nutrients that block mineral absorption and will cause much digestive distress. Soaking and toasting the hulled sesame seeds is probably your best bet in removing most of the anti-nutrients found in sesame seeds. Lightly toasting sesame seeds also seems to bring out the flavor in sesame seeds. Sesame seeds are an excellent source of copper and calcium. They are also a good source of phosphorus, magnesium, iron, and zinc. These seeds also have a decent amount of B vitamins and selenium. Sesame seeds come in many colors - ivory, yellow, brown, black, and red. The darker seeds are said to be more bitter and sometimes are dyed. 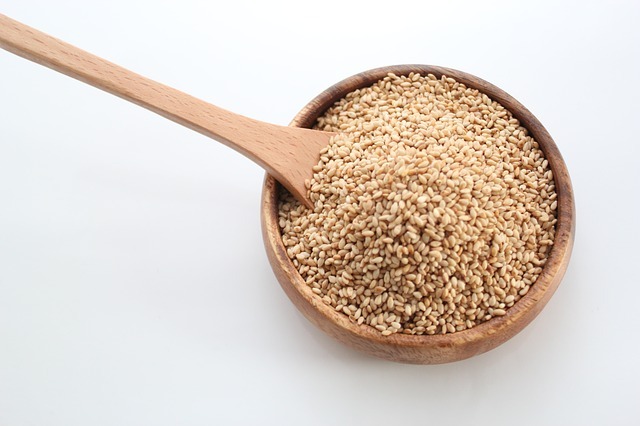 Hulled sesame seeds will have less anti-nutrients like oxalic acid and phytic acid. And hulled sesame seeds will make a less bitter tasting tahini. Sesame seeds with the hulls removed are called hulled sesame seeds and will contain almost 1/2 the amount of nutrients compared to unhulled sesame seeds, but will contain less anti-nutrients. Hulled sesame seeds will create a lighter in color and more fluid tahini paste. Unhulled seeds will create a thick paste that looks more like peanut butter in color. Add toasted sesame seeds to a high speed blender with the oil - blend to incorporate. In a moment, shut off the machine and scrap down the sides of the blender - then turn machine back on. Blend until completely smooth in texture (1 to 2 minutes). Use immediately or store in an airtight glass jar in your fridge for a few weeks. Toast your hulled sesame seeds on a very dry and not too hot skillet until lightly toasted. This will help to remove even more of the anti-nutrients and give your tahini recipes a delicious flavor. Do not overcook! Blend in a Vitamix using your tamper to push seeds down while blending. Start on low speed and gradually turn up to a higher speed - be sure not to overheat your seeds. Stop blending when the desired consistency of your tahini paste is reached. Store in fridge. You can make a raw tahini paste by not toasting your sesame seeds and using soaked raw sesame seeds. Sesame seeds have a very high amount of anti-nutrients that need to be removed. Hulled sesame seeds will have a lot less phytic acid and oxalic acid compared to unhulled seeds. And soaking seeds helps to neutralize the enzyme inhibitors that will interfere with digesting your foods. Soak sesame seeds for at least 8 hours. Drain the soaking water (using a fine sieve) at the 4 hour mark and re-soak the seeds using fresh filtered water. Be sure to soak your seeds using room-temperature water and keep at room-temperature. When your finished soaking, drain off the soaking water by pouring sesame seeds into a fine sieve. Then put the sesame seeds in your dehydrator (on parchment paper) set on a low temperature (110 to 115 degrees F) and dehydrate until completely dry (about 4 to 6 hrs). The soaked and dehydrated sesame seeds are now ready to use in a recipe.